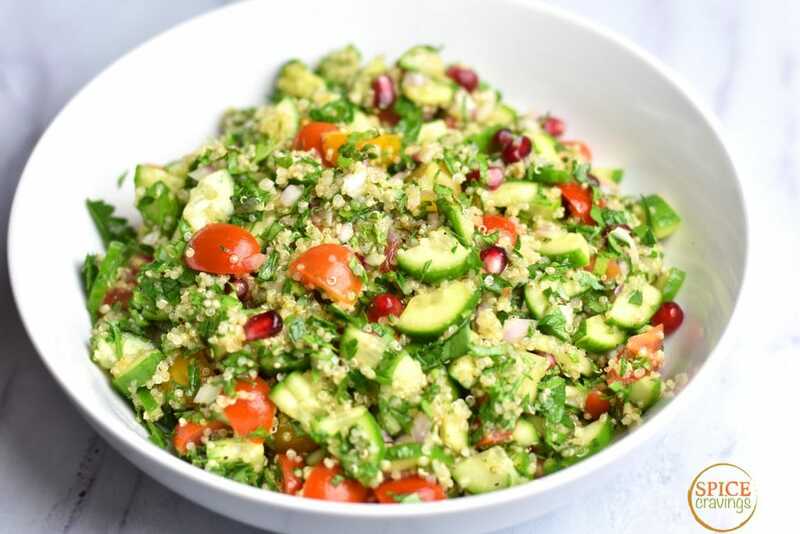 Tabbouleh or Tabouli is a Middle Eastern vegetarian salad made of finely chopped parsley and mint, with Bulgar wheat, chopped tomatoes, onion, cucumber, and seasoned with a simple lemon vinaigrette. In this Quinoa Tabbouleh Salad, I have replaced Bulgar wheat with cooked quinoa, which makes the Tabbouleh gluten-free, hearty and protein-rich. 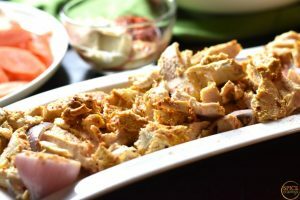 This simple Mediterranean side takes very little time to make and compliments many grilled meats and vegetables.
. Bulgar is cracked wheat that has been partially cooked. It’s a common ingredient in many Middle Eastern dishes, Lebanese food, and Mediterranean dishes. 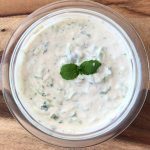 It has a nutty flavor and is added to soups, stuffings and salads like Tabbouleh. The most common way to prepare Bulgar is to rehydrate it in seasoned liquid, just like couscous. instead of Bulgar in Tabbouleh as it works better for my family’s taste and needs. I researched a lot on the two, and found that even though both, Quinoa and Bulgar, are considered to be whole grains, Quinoa, which is actually a seed, is a complete protein. also contains more vitamins and minerals than Bulgar. Another big difference between the two is that Quinoa is gluten-free, which appeals to many people with gluten intolerance. 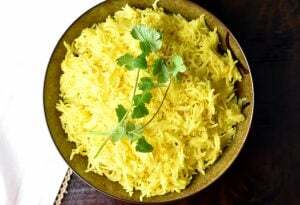 This salad recipe is also vegan. I simply add 1/2 cup Bulgar and 1 cup water to a sauce pan. I season the water with salt, pepper and a drizzle of extra virgin olive oil. Then, I bring it to a boil, cover and simmer for 12-15 minutes, or till Bulgar is cooked through. In the end, I drain off any excess water, and fluff it with a fork.
. 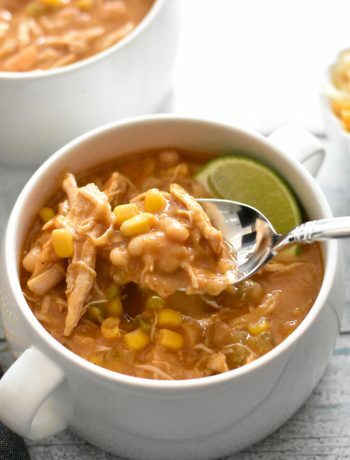 I always have cooked quinoa in my refrigerator as that is my quick and easy way to add more protein to salads, soups and sides. I love to add an optional ingredient in Tabbouleh, Pomegranate seeds. 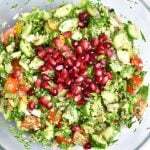 I love the sweet and tart flavors of the pomegranate seeds, which compliment the lemony flavors in this salad. In my opinion, it elevates this salad to a whole new level of flavor-town! 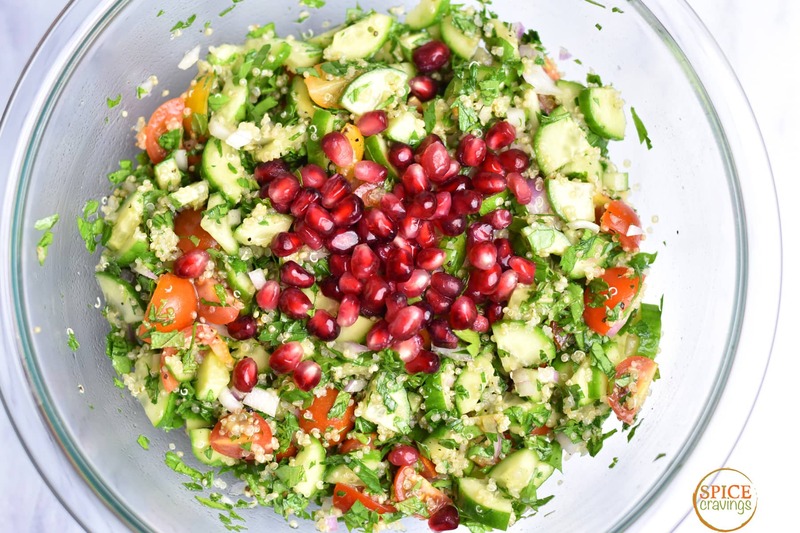 Tabbouleh is a very versatile salad. The fresh flavors of tomatoes and cucumber, fragrant herbs like parsley and mint, heartiness of quinoa and lemony dressing make it a great pairing for most entrées. It makes for a great potluck and summer picnic side-dish. 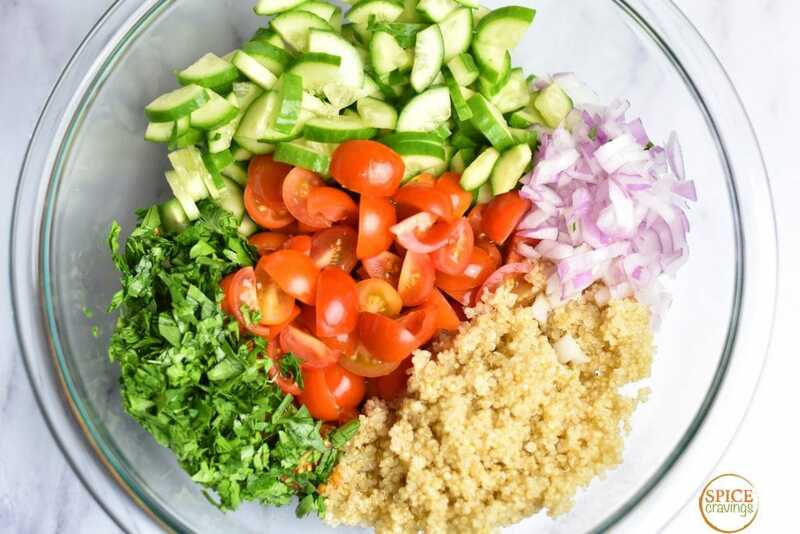 In my home, I like to pair Quinoa Tabbouleh Salad with marinated or spiced meats and vegetables. 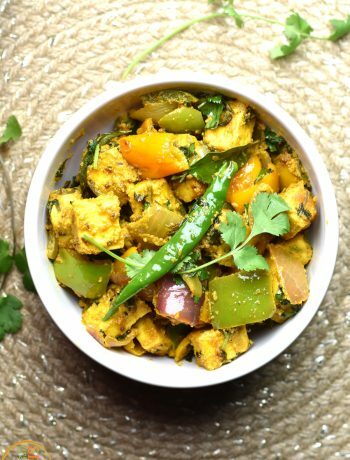 With this salad, I balance and contrast the intense flavors in the spice mixes and marinades. 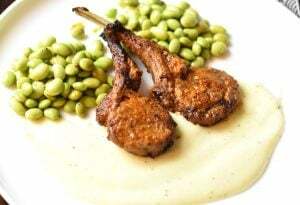 My favorite combination is with Grilled Lamb Chops, Chicken Seekh Kebabs, and Cajun Chicken. 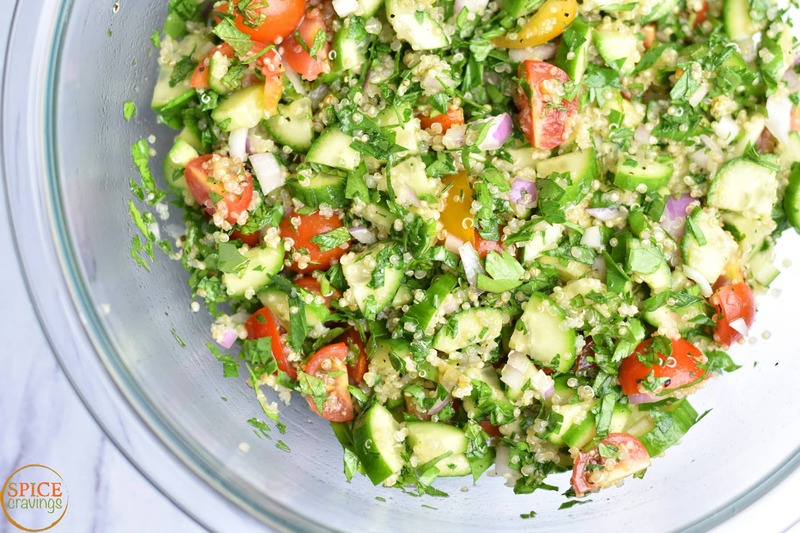 Tabbouleh is a Middle Eastern vegetarian salad traditionally made with Bulgar wheat. 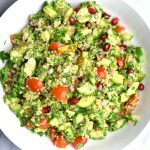 In this Quinoa Tabbouleh Salad, I replace Bulgar with quinoa, which makes the Tabbouleh gluten-free, hearty and protein-rich. Prep: Cook Quinoa as per package directions. About 1/3 cup uncooked quinoa leads to 1 cup cooked. If cooking in Instant Pot, combine 1 cup rinsed quinoa with 1 cup water, 1/4 teaspoon salt and pressure cook for 2 minutes, high pressure. Let the pressure release naturally for 10 minutes, then turn the knob to venting position. Open lid after pin drops. 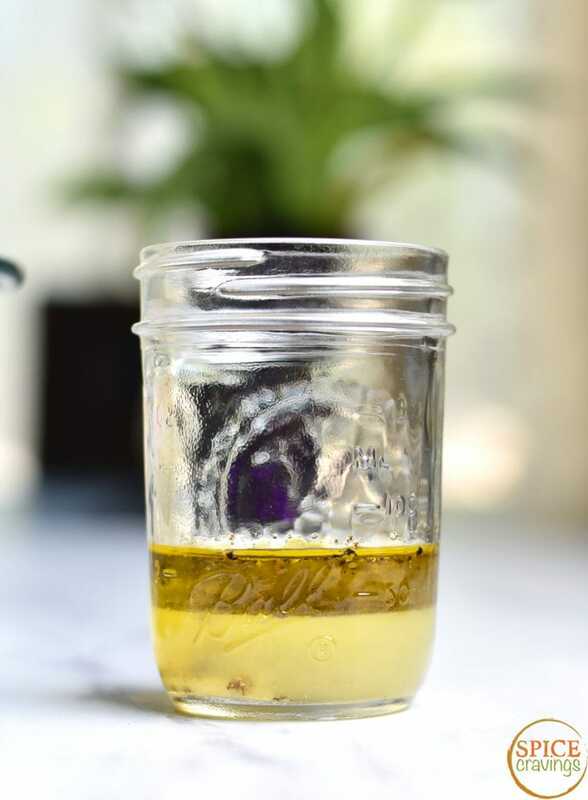 If cooking in smaller quantity, use pot-in-pot technique. 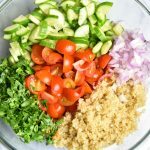 Assemble: In a large mixing bowl, add cooked quinoa, chopped onions, tomatoes, cucumbers and herbs. 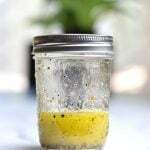 Make: Dressing In a mason jar or a small bowl, combine lemon juice, extra virgin olive oil, salt and pepper. Shake well to combine all the ingredients. 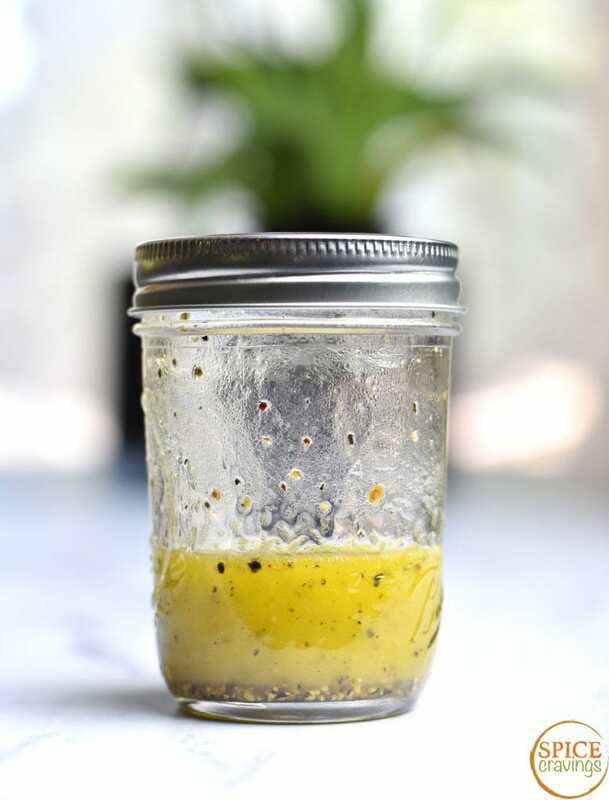 Mix: Pour the dressing over the salad and mix well. 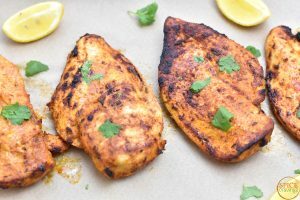 Optionally, add pomegranate seeds and toss one more time. Serve cold. This salad is making my mouth water! So light and summery! Thank you Karly! It is pretty refreshing- hope you try it soon!